The Orbis Hotel Group chose the company BatiPlus to perform the technical control during the construction of a new ibis hotel in Gdańsk. The construction of the ibis hotel Gdańsk Stare Miasto has started near to the existing Mercure hotel Gdańsk Stare Miasto at Heweliusz Street. It will be lower than the 70-meter Mercure hotel. 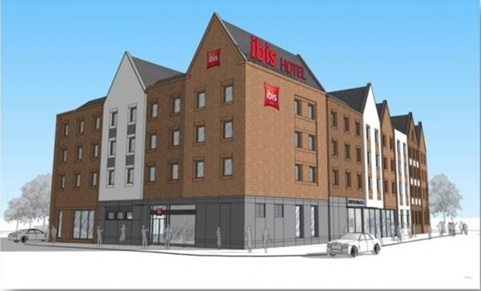 The new hotel will offer its guests 120 modern and comfortable rooms, two conference rooms, as well as a bar and restaurant ibis kitchen, characteristic of the chain. A parking will also be built. The opening is planned for Q4 2016. The hotel group Orbis, which is the biggest chain of hotels in Poland, once again charged BatiPlus with technical supervision during the construction of a new hotel. The Orbis’ strategic partner is the French company AccorHotels, the biggest hotel operator in the world and the leader on the European market.